Unique Easter greetings with flair - that's what you want, right? Here are two more of the several Easter greeting cards that you can make for this Easter celebration. No Easter theme rubber stamps? No problem! Easter is a joyful occasion - a celebration of the resurrection of Jesus Christ. So images like flowers, butterflies or any that has a light happy mood will do. Christians usually like to use an image of the cross because Jesus died on the cross and rose again on the third day. The decorated egg is also used for Easter greeting cards as it speaks of new birth, and so forth. The following two Easter card designs are part of a set I created this year. You can view the other two card designs by clicking here. 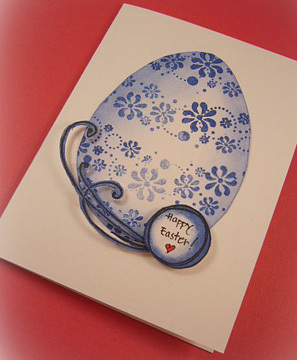 For the first Easter card design, an egg shaped template is used. Just hand draw an egg shape and cut out to use as a template. The colors used for this Easter card are white, blue and a bit of red. Place Hero Arts border clear stamp on acrylic block. Make the border curve a bit. Repeat with the same clear stamp design until the egg shaped cardstock is fully filled with some designs. Use the same blue color ink pad to swipe over the edge of the egg shape. Or you can use a piece of polyester foam to apply the ink. Make sure that the edges are darker and leave the middle part white to give the egg a 3D look. Ink the flourish and hand-drawn flower center clear stamps with black ink and stamp on white cardstock. 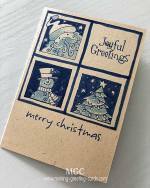 Embossed with clear embossing powder and trim around the stamped design. You will also need to snip and cut out the center too. Go over the flourish with the blue ink. And also on the edges of the flower center. Use a black permanent ink pen to write the Easter greetings, 'Happy Easter!'. Draw a tiny heart and color with red marker. 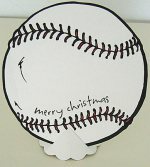 Apply glue and attach the egg shaped card stock to the front of the white color blank folded card. The colors used for this Easter card are navy blue, red and cream. Rubber stamps: blissful blossoms cling rubber stamp set by Lizzie Anne Designs and easter message clear stamp by My Sentiments Exactly! Ink flower rubber stamp with Versamark pad and stamp on cream cardstock. Pour clear embossing powder on stamped image, shake off excess powder and heat to melt powder. Color the flower image with red and blue marker. Cut cream color card to size 2.75 inch square. 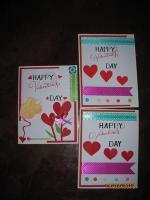 Cut red color card to size 3 inch square. Ink part of Easter message stamp with blue pigment ink and stamp on bottom of cream square card. Heat embossed. Layer cream square card over red square card and attach to the front of the navy folded blank card. 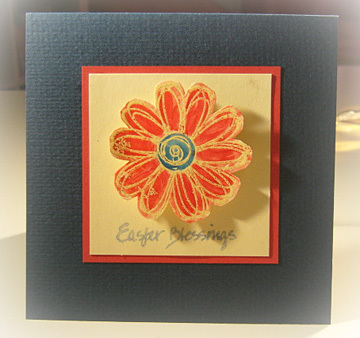 Attach flower to cream square card with double sided foam tape above the Easter greetings. 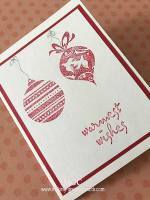 This is a quick and simple Easter card but the bright red, cream and navy blue color combination makes this Easter card very attractive.